Playwright: From Page to Stage is a film about two amazing young playwrights who've shared their lives and work with us. Stories such as theirs restore a sense of balance and humanity to our complex world, stimulate our minds, and inspire us. Our goal is to bring their compelling journeys to you, and we now need your help to finish this three year project. From acclaimed director Robert Levi comes an exceptional and moving cinema verité film about the development of theater in America, independently produced for PBS. A rare and intimate glimpse into the dynamic process of creating and launching new plays, Playwright: From Page to Stage follows two gifted young playwrights through the writing, development, staging, rehearsal, and public performance of their plays. 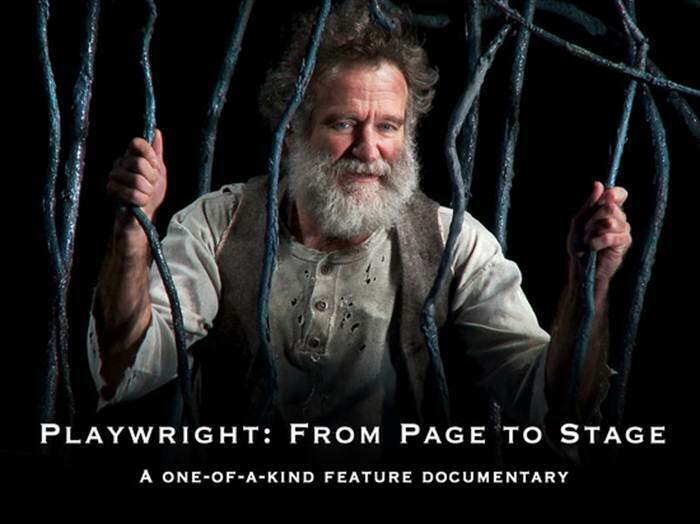 Over the course of three years, the dramatic parallel journeys of Rajiv Joseph and Tarell Alvin McCraney unfold, from the moment their work receives modest production funding, through the film’s riveting climax, when one of the productions makes it to Broadway with Robin Williams playing the title role.